Born and raised in the greater Los Angeles area, DJ Ricky Sixx was exposed to a plethora of different varieties and genres of music (raised on the post-punk, punk, and industrial genres of the &apos;70&apos;s and &apos;80&apos;s while being a child of the &apos;90&apos;s). Now, in Nashville, TN, Ricky Sixx brings you music from all over the world; ranging from house and dance in the US, to electro-industrial and Eurodance, to Asian remixes, incorporating a wide assortment of genres of electronic dance music. 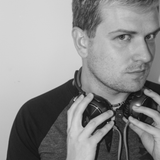 Currently, Ricky is a DJ for Tribe and Play Dance Bar in Nashville, is a frequent guest DJ at The Lookout in San Francisco and Talbott Street in Indianapolis, and has a radio show on DanceMixUSA.com. He also edits remix music videos (www.vimeo.com/djrickysixx) and video interviews for www.notabledance.com and www.nexustv.net. Check out the official site at www.rickysixx.net. Follow him on Twitter @DJRickySixx or Facebook at www.facebook.com/rickysixxofficial.